Because I adore these individual items a lot and they fit together very well. I start to like the golden theme a bit more, I have not been much into gold most of my live, rather being in team silver. However, when Christmas was around I had the chance to go wild, finding the cloth as a first at Jysk. 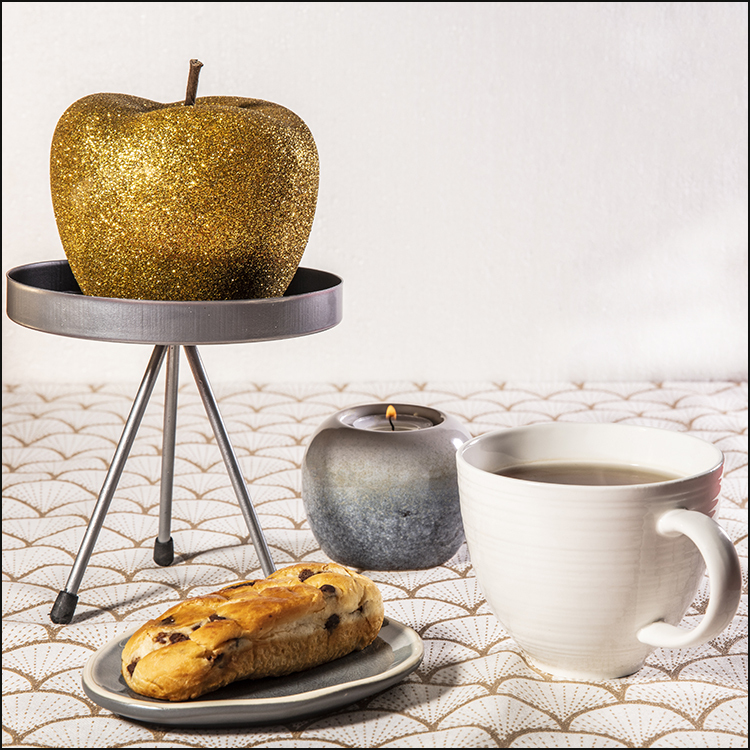 The glittery golden apple followed and from there the rest came. It is for me a bit bold to get that glittery thing in my house. Often I worry about things going too crazy but I had the right feeling on this apple. The setting came together when putting up some nice tea moment. Those who know me well are aware that I take my tea’s serious. So a nice and large cup is making me feel content, putting it with a chocolat bun makes that I can snug up with a good book and a good record spinning and lose myself in time. While winter is keeping the days long, I get to make myself feel happy with all of that, right? That is what I do. Burning a nice candle and enjoy the time.